From digging out ground-in candy corn to sopping up soda spills, there is a right and a wrong way to remove carpet stains. Because we always want to be ready with the best carpet-cleaning info, the Carpet and Rug Institute is releasing its sixth feature story, Caramel to Cranberries: Holiday Stain-Busting Tips Keep Carpets Bright. Following these tips will keep your carpet looking great through the holidays and beyond. From candy canes to fudge to grandma’s famous yams, most stains can be cleaned using these techniques. For additional stain removal information, Lichtenstein recommends visiting the Carpet and Rug Institute (CRI) Residential Spot Solver on the CRI website, or choosing a spot remover from the CRI list of tested and certified products. Keeping carpet clean through vacuuming is essential to battle the extra foot traffic that comes with entertaining during the holiday season. As people come and go during your holidays, you’ll likely notice extra soil on carpets and other flooring. There’s no need to panic that your carpet investment is compromised. 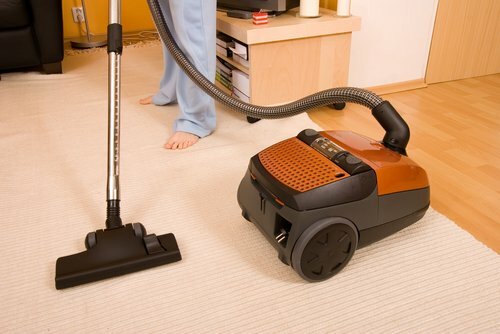 Simply vacuum regularly with a quality vacuum that has received the CRI Seal of Approval, which means it’s been tested thoroughly for soil removal, filtering and the ability to maintain the texture and appearance of carpet. From everyone at CRI, we hope you have a happy holiday season!